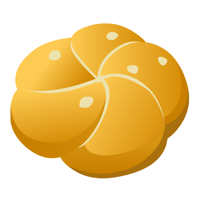 In Glitch, the bun is one of the simplest things to make. It only has two ingredients: flour and salt. What could be easier? But wait a moment, flour and salt? Where’s the yeast? You can’t make a bun without yeast, surely?